Playful Corp. is working on a game specifically designed for virtual reality. Oculus VR just announced an exclusive title for it's Rift VR headset. 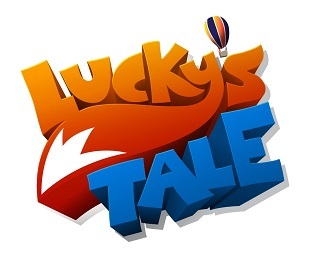 Lucky's Tale has been built from the ground up for virtual reality, and it's being developed by Playful Corp., and its CEO, Words with Friends co-creator Paul Bettner. The deal between Oculus and Playful is the second announced publishing deal for the VR company. Earlier this year, Oculus and CCP announced that they would be teaming up to co-publish the latter's Eve: Valkyrie space dogfighting title. Lucky's Tale is set to debut at E3 next week -- you can check it out at the Oculus booth in the West Hall if you're attending the show -- and Bettman isn't downplaying the importance of the recent VR push in gaming. "Virtual reality -- I mean truly accurate, comfortable virtual reality -- is the most important thing to happen to interactive entertainment in decades," said Bettner. "I know it sounds like exaggeration, but it's impossible to explain what this is like to someone who hasn't experienced it for themselves. Your brain is convinced that you are somewhere else, that you are in another world. I have worked my entire career to get to this moment, to create something like this." Paul Bettner co-created the With Friends game series with his brother David. Zynga bought the brother's studio, Newtoy, in 2010 for about $53 million. Both brothers left Zynga in 2012.